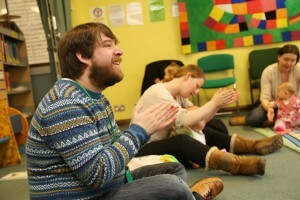 Jimmy Rotheram is music coordinator for Feversham Primary Academy, a school in inner-city Bradford which in the last five years has transformed from a special measures school to ‘outstanding’ by prioritising music and drama, and is now in the top 1 per cent of schools in the country for pupil progress. He also supports local schools with music training and events and performs soul, funk, jazz and comedy at weekends. It’s difficult to find the words to describe the BKA Summer School experience to somebody who hasn’t seen it for themselves. So rather than spouting superlatives, perhaps the biggest testimony I can give is that when I had to go home, I sobbed and gulped like a baby who had had all of his favourite dinosaur toys taken away. If you haven’t been before, it is a week of intense fun and learning. A week of revelations. A week of having the most fun you can possibly have with a room full of people and their voices, knowledge and imagination. A week of bonding with people who don’t think you’re weird for putting hand signs to distant car alarms. A week of people unselfconsciously walking round in a state of bliss, pressing in their belly buttons whilst blowing a song about rabbits through a straw into a bottle of water. A week of sideways looks from bemused delegates of other conferences. You will be exposed to a smorgasbord of musical styles. You will develop musicianship and classroom pedagogy from some of the finest minds in music education from around the world, alongside like-minded people who take music and having fun very seriously. I’ve never seen so many people having ‘personal breakthroughs’ so expect some – from the lady who had suddenly discovered a wonderful vibrato voice, to the young women who had never sung in choir or public before, to the man who could suddenly conduct easily. Let me walk you through a typical Summer School day. We would begin with an hour of rehearsing Haydn’s Missa Brevis with Árpád Tóth. I learned so much from watching him conduct and coach the choir – such as how to make the lyrics crystal clear, or how to ensure balance and musicality on each phrase, as well as how to warm up and prepare your choir in engaging ways for a session of singing. This was followed by musicianship classes with Esther Hargittai, who showed us how to have fun whilst developing crazy skills like the ability to suddenly switch modes from any degree of the scale. Even singing and playing in the Phrygian mode was ‘always a joy, never a torture’ (guess which notable music educator said that this is how music should be?). After a quick brew and a natter with kindred spirits at coffee time, it was back to Esther who showed us how to consider all the details of conducting a children’s choir and make part-singing easy for them. I signed up for all of the extras, and recommend the investment to anyone. Allan Hubert-Wright’s singing lessons are truly bespoke and extraordinary. He can show you how to do anything, easily, with your voice. He has the scientific knowledge to know exactly what you need to do physically, and the musical knowledge to apply this perfectly to whatever you want to sing. He added an extra octave to my comfortable range, and suddenly a clear, powerful tone was coming out of my head voice for the first time ever, with a lot less effort than I was putting in before. I should also add that Allan could also be a professional stand-up comedian – he’s completely down-to-earth, friendly and hilarious. You don’t really question the reasons why you are singing ‘Bohemian Rhapsody’ in huge tremulous raspberries or blowing bubbles into a bottle of water while you sing, but once you’ve done these exercises and got rid of your giggles, you can sing like a champion. My new voice is like getting a brand new instrument to play with! Piano lessons with Orsolya Szabó are worth every penny. There are certain passages in pieces I practised for hours and hours without getting anywhere. Some gentle movement away from the piano, a slightly different posture, miniscule adjustments to my hand shape and suddenly I could play these passages straight away, without even having to practise! This woman has superpowers! If you don’t believe me, she is a Hungarian gymnastic champion, international concert pianist and a respected fine artist and poet, with a PhD in philosophy! After lunch, we would have an afternoon of fun and games and belly laughs with the likes of Lucinda Geoghegan and Gerard Klaassens. We also enjoyed wonderfully creative Dalcroze workshops from Jacqueline Vann which I can’t wait to take back to the classroom. Many first attempts at the games ended in chaos and giggles, but soon we were mastering the games, and reassuringly, kids are far better co-ordinated with new things than most of us ‘old folk’ (over 20s!). Following this, we went deep into the detailed pedagogy with Bori Szirányi, which underpins all the fun and games and ensures musical literacy for everyone. In the evening we enjoyed lectures from the likes of Paul Wilson (folk music) and a wonderful performance from the London Adventist Chorale. At the sun set, the reasonably-priced bar was filled with people making music together. A huge gang of joyful, inclusive musicians, clutching folders of Irish folk music, jazz real books, or just armed with their ears, wielding accordions, guitars, violins, violas, saxophones and ukuleles with up to three people on the piano singing part harmony. Students, tutors, virtuoso musicians, beginners, guest lecturers, all making music together for the love of it. Imagine the best jam or open mic night ever. Every night! But of course we were all up again bright-eyed and bushy-tailed the next day to do it all over again (at least we were after a hearty breakfast and a coffee or two). I wanted to take everyone home with me and keep it all going in my garden. The anger of my girlfriend discovering hundreds of strangers dancing around our garden making strange noises and hand signs would be a small price to pay to stay a little longer in paradise. I’ll just have to settle for keeping in touch with my new family on Facebook, where incredible support is available for us. But where the real magic happens is when you take all this back to the classroom and try it out. I’ve been studying the Kodály Approach in some depth over the last few years, and the more I learn and apply from my studies, the easier it is for my pupils to excel. People unfamiliar with the approach are amazed that my year 4s can aurally dictate pentatonic melodies, or sing in harmony, or keep a rhythmically complex ostinato whilst singing in canon. Especially when they are having SO much fun doing it. This is how music should be. Always a joy, never a torture. Louise Cooper is Head of Music at William Perkin C of E School in Greenford, West London. I want to learn about this Hungarian school of music. What is the method by which I can achieve great results in my classroom? There is no method. There is no rule book. But go to the Summer School and you can find out more. Looking back on it, attending the Summer School was akin to developing your mind in the way of the great spiritual traditions. Alongside rigorous scholarship (in our case, endless classes, study, homework, classes, study, homework), I learned as much by being in the presence of those who carried a great light for music education. Although I did not know much about Kodály the man himself, listening to Orsolya (and others) speak about him made me consider what an incredible gift he left us and what an incredible vision this man had. Cecilia Vajda was one of many who were so inspired by him that she carried a beacon for music education to this country. Through her endeavours, my education had been made possible. In my own humble way, I saw myself as part of this tradition of music educators: how would I carry that vision forward? What were my responsibilities to help others share the joy of music? 1. Learning music should be fun! It can be learned at a desk, but the learning does not have to all be intellectually-based. Learning can be multi-dimensional: through movement, through singing, through games. Learning can be audio, visual, kinaesthetic, social. There are so many ways to explore music which are applicable with older students as well as younger students. 2. Through a well-planned, systematic, step-by-step approach it is possible to train students’ ears (with particular focus on the ‘inner ear’) in order to appreciate art music at a deep level. The ultimate goal is not a GCSE grade or even a class of perfect sight-readers; the ultimate goal is to share the joy of music with our students. If the methodology is good, we can get there. 3. We should have high expectations for our students. Frankly, I was blown away by the videos of the Hungarian primary school children as what they were able to achieve would be challenging with an A-level class. It has made me consider that I need to set the bar higher for my own students. I came back from the Summer School buzzing with ideas. (I also momentarily considered retraining as a primary school teacher: how effective could this approach be if used in the early formative years?) Then back to school and dealing with the usual deluge of work which has swept me through September. Realigning my secondary curriculum with this approach will take me some time to effect. But as I carry the light of that inspiration I gained from the Summer School with me, there is no doubt in my mind that it will happen. 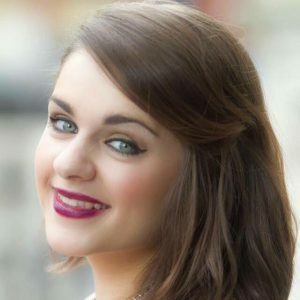 Laura is a 25-year-old musicianship teacher and classical singer from Northern Ireland, and has recently accepted a place on the MMus Vocal Performance and Kodály Musicianship course at the Royal Conservatoire of Scotland in Glasgow. She has also recently taken on the role of musicianship lecturer at the Junior Conservatoire of Scotland. Her plan for the future is to go back to Northern Ireland and teach musicianship in areas of deprivation, especially in the rural parts of Northern Ireland, as well as develop creative hubs and spaces for people living with dementia and special educational needs to come together and experience the life-changing power of music. I don’t really know where to begin… The BKA Summer School was one of the highlights of my professional training to date. It is almost surreal now to think that I was fortunate enough to not only experience the highest level of musicianship training from the world’s most incredible Kodály experts, but also to be selected as one of the recipients of the CVMS award, which in all honesty, made this experience possible for me. During the course I attended a range of different musicianship classes during the day, and every evening I took part in the extra activities which included Morris dancing, Elgar part songs and of course, the Irish céilí. As invaluable and worthwhile as every single class was for my personal development on the course, I want to give a particular mention to a few of my own personal highlights. Firstly, to my amazing musicianship tutor, Esther Hargittai. Somehow, she managed to turn all the mathematical information that lay dead in my brain from those previous, scary ABRSM ‘theory’ exams about figured bass, chordal progression and modal harmony, into solfa magic! Already, I have started embedding these new ways of thinking with my new class of 10 – to 16-year-old musicianship students, who, after just one month of teaching, have already told me how much easier and FUN their musicianship class is… Magic! The British Kodály Academy is delighted to announce that one of its long term members, David Vinden, has been awarded the Lifetime Achievement Award in the Rhinegold Music Teacher Awards for Excellence. David has worked tirelessly for the Kodály cause for most of his adult life. He is one of the BKA’s most popular tutors, always giving generously of his time and immense knowledge. Huge congratulations to David from everyone at the BKA. You rock!! BKA Member Lindsay Ibbotson has been successful in gaining funding for “First Thing Music”, an exciting research project which will run during the school year 2018/19, jointly supported by The Education Endowment Foundation and The Royal Society of Arts in partnership with, Tees Valley Music Service, the Institute of Education and the British Kodály Academy. Primary Schools in Teeside and the North East are invited to consider taking part in this exciting and important project. Please see FTM Info Pack Jan 2018 for details. 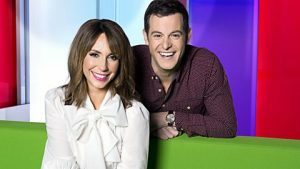 In a very exciting move for the BKA, this Tuesday, 28th November, the BBC’s One Show will feature one of our members, and the great success he has had teaching music in a school in Bradford. Jimmy Rotheram is the music coordinator in Feversham Primary School, an inner-city school, which was in special measures five years ago. Their success is down to one thing – the Kodály concept of music education. By giving all pupils access to this incredible way of teaching music, they have improved attendance, creativity, concentration and confidence, and produced some musicians of exceptional quality. But it is not just in music that they have seen this success. Just as was seen in schools in Hungary, there has been a knock-on effect in other academic subjects. The improvements in mathematics and literacy have lifted the school out of special measures, and they are now significantly above the national average. Following a recent article in The Guardian, which has been shared almost 200,000 times on social media, there was so much interest that the school had to run a conference to showcase their music making. Happy children, great academic results, fabulous music-making. This is a real success story we can all be proud of. 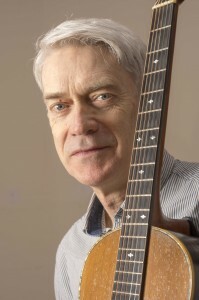 Paul is a professional music educator, composer, singer and song-writer, with thirty years’ experience. As a music educator with Marilyn Tucker, he co-founded Wren Music, which now serves over 30,000 people a year from its base in Devon. He regularly writes articles and gives talks on folk music and education. His dedication to preserving, maintaining and creating traditional music was recognised in 2002 with the award of an Honorary MA in Music Education by the University of Plymouth. 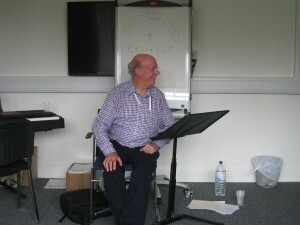 He is the course director for the new level 4 Trinity course Certificate for Music Educators delivered by Wren Music. This talk will take a broad and informed perspective on the perennially ‘tricky’ subject of singing and teaching songs in foreign languages. In a world where English as a language is taken to the remotest corners of the world through internet and social media use, how should we approach the learning and teaching of songs in tongues which are not our own? There is no question that in the past, perhaps in our desire to promote songs in other languages, we have been cavalier. Many influential organisations singing leaders and publishing houses have approached the understanding of foreign texts with an amazing lack of care and respect. To begin to address this positively and work towards a more genuinely inclusive song culture for our society, we will aim to provide a few key pointers towards building a code of practice. We want to enjoy singing in other tongues, especially with the possibilities now opening up with new media, but we need to accord the other tongues the basic respect they deserve and that we would want for our own. The talk will contain many ideas which are highly transferable. It is not necessary of course to run a whole project or even a whole concert around this concept, but the sequences of activity can be employed anywhere for anyone wishing to approach a song in a foreign language. Delegates will be invited to get their tongues round a few tricky sounds from another tongue – from listening to recordings of first language speakers – lots of fun!! The talk will take selected significant events over the last half millennium or so, to provide a birds eye view of what we now describe as English Folk Music. Of necessity we will stop a little longer with significant signposts and watersheds. We will flag the 17th and 18th century European philosophers and writers like Herder and Bishop Percy and their search for national identities. Compare the ballad anthologists and commentators. We will ride around 19th and early 20th century Devon and Somerset with collectors like Sabine Baring Gould and Cecil Sharp. We will find out why latter day collectors were keen to visit working men’s clubs and gipsy encampments and bring things right up to date with the description of new initiatives which are being created through internet resources and public funding. The talk will touch on some scarcely believable truths and may explode some long standing and credible myths and will feature historical musical examples sung live alongside audio from more recent collecting. We will consider how much or little of this work is being applied to educational situations and how the current scene is one of unrivalled opportunity for music educators interested in bringing forward English Folk song with their young people. Finally, there’ll be lots of opportunity for discussion and sharing of perspectives on this fascinating and often hidden raft of treasures. Ben manages Calderdale’s Public Children’s Library Service, a job he finds incredibly rewarding. He loves sharing his passions for music and literature with the families in and around Halifax, West Yorkshire. Ben studied music at the University of Huddersfield, studying viola with Helen Brackley Jones, and graduated in 2008. After graduation, he continued his studies with Sarah-Jane Bradley. He is a member of the British Kodály Academy, and endeavours to apply Kodály’s philosophy of music education in all his sessions and, in 2013, was awarded the Cecilia Vajda Memorial Scholarship to further his studies at the British Kodály Academy Summer School. Ben is an Early Childhood methodology tutor for the British Kodály Academy. 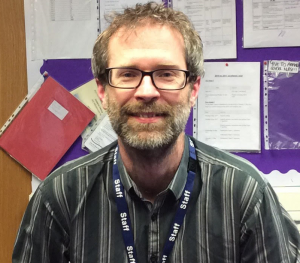 He regularly presents at conferences and delivers training on using songs and rhymes for Children Centre and Early Years staff as well as Children’s Library professionals. In 2014 he was invited to speak about the power of sharing songs, rhymes and stories at an MP’s reception at the Houses of Parliament. More recently, he has recorded songs and rhymes for the charity Booktrust, for their National Bookstart Week celebrations and, with his colleague Shelley Bullas, he co-authored the chapter Music and Rhyme Time Sessions for the Early Years in the book Library Services from Birth to Five: Delivering the Best Start, edited Carolynn Rankin and Avril Brock. Ben sings with, and is administrator for, the Northern Kodály Choir based in Huddersfield. He LOVES playing viola, and can be found playing regularly for Espressivo Chorus and the Fields Ensemble. The London Adventist Chorale was formed in 1981, to bring together and develop the latent talents of singers from various Seventh-day Adventist Churches. Its current principal conductor is Ken Burton, who has conducted the choir for over two decades. 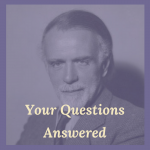 The choir’s first artistic director was the late John Tolman, who laid out the vision for the choir: high-standard performance of varied and challenging sacred repertoire, with a heavy leaning toward a cappella music. Fundamental to the original vision was that the choir would be of a standard to “stand before kings and queens”, a statement borrowed from a Bible verse. Throughout its years, under several directors including Derek Hoyte and Tina Brooks, this dream has been realised; the choir has made a strong impact on the choral world internationally through its moving performances, combining, as one music critic put it, “discipline with fervour”. Its repertoire over the years has included music in Hebrew, African-American Spirituals, close harmony, and Western choral music from Renaissance through to new commissions. The Chorale’s performances have been experienced by tens of millions world-wide on stage, screen, recordings and radio appearances. The choir has performed in most of the UK’s major performance venues. Among the many notable venues and performance are Blenheim Palace in the presence of former US President Bill Clinton, Buckingham Palace on the occasion of Her Majesty the Queen’s Golden Jubilee, Toronto’s Sky Dome before an audience of seventy thousand, and BBC Proms concerts. Its performances very often receive long standing ovations, and one Times reviewer was so taken aback, he wrote in the newspaper that he had found “the perfect choir”. In 1994, the choir won the prestigious “Choir of The Year” title, and was awarded BBC UK Gospel Choir of the Year by the BBC a year later. Even to the present day, many of the UK’s choral directors have verbally stated that the London Adventist Chorale has had a profound effect and influence on the UK choral scene. 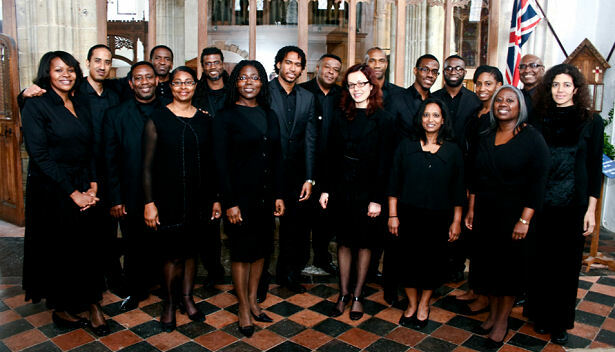 By way of example, it is not uncommon to see the inclusion of African-American Spirituals – a genre which has been almost unilaterally preserved in the UK by the Chorale – on choral programmes and in competition repertoire. The choir has worked in collaboration with a number of notable artists including Bryn Terfel CBE, Sir Willard White, Larnelle Harris, Wynton Marsalis, Wilhelmenia Fernandez and Lesley Garrett. The choir performs yearly Christmas concerts at the Clonter Opera Theatre and celebrity chef Raymond Blanc’s Le Manoir Aux Quat’Saisons. It has also been involved with the Kijani Kenya Trust which raises funds for HIV,Aids and Conservation projects in Kenya, through a high-calibre music festival and ongoing education programme. Recordings to date include the debut album “Turn Your Eyes Upon Jesus”, “Deep River”, “Steal Away” (EMI), and “Live In Australia”.